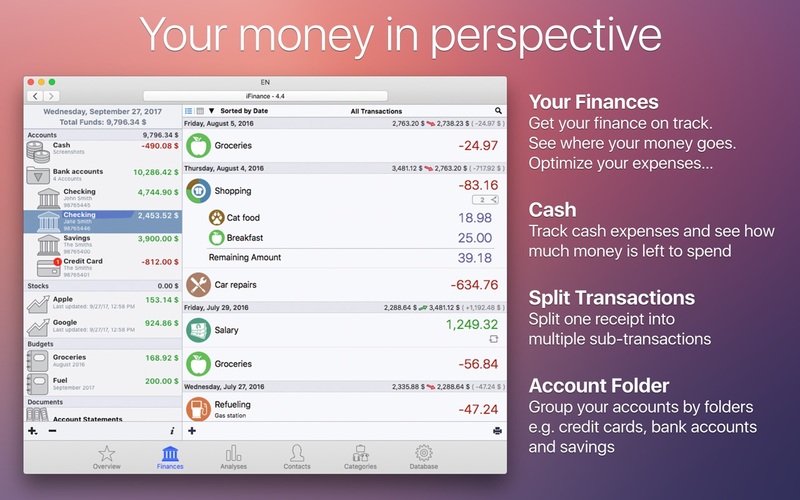 iFinance 4.4.7 – Comprehensively manage your personal finances. Next story Creative Convert 1.0.1 – Application for converting PDF, PSD, EPS files into Graphic formats. Previous story Marked 2.5.26 – Easily preview your Markdown documents. QuickBooks 2016 17.2.21.576 – Financial management and accounting for small businesses. Moneyspire Pro 17.0.27 – Comprehensive, user-friendly personal-finance software.